Mary Shelley’s classic 19th century novel Frankenstein has often been described as the birth of science fiction, but if you believe Kent Linthicum of Slate, it’s really all about climate change. Two hundred years ago this June, during a dreadfully cold and wet summer, Mary Shelley began writing Frankenstein. Since then Frankenstein has become iconic, spawning a legion of adaptations and reinterpretations. 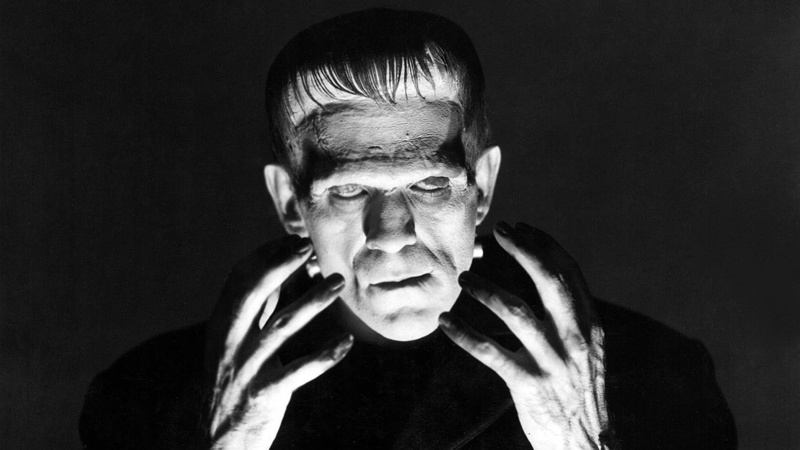 The Oxford English Dictionary even includes entries for the verb “to frankenstein,” which means to stitch something together in a grotesque fashion, and the prefix “franken-” to make anything monstrous. The novel is shorthand for the dangers of unfettered scientific progress. But the unforgettable creation scene, depicted in movies with frenzied screams of “It’s alive!” and arcing electricity, doesn’t happen until one-third of the way through the novel. If you’ve never read the book, you might expect the story to begin with Dr. Frankenstein recounting his mistakes or heading off to school to study anatomy. Instead, we start with Robert Walton, an Arctic explorer. The Arctic exploration might seem random, but it makes more sense in the light of the environmental crisis unfolding in the Northern Hemisphere when Shelley was drafting the novel. Mary Shelley was an astute observer of the world; her journals reveal a young woman with a powerful drive to learn, reading a range of political, literary, philosophical, and scientific works. For Frankenstein, she seems to have been inspired by a series of electrical experiments and new microscopic discoveries to imagine whether it would be possible to infuse the spark of life into dead flesh. But her observations were not limited to the world of books—they extended to the environment around her to include the dark forests of eastern France, the sublime peaks of the Alps, and the miserable weather of 1816. In her preface to the 1831 edition of Frankenstein, Shelley comments that the summer of 1816 in Geneva, where she was staying, was memorably unpleasant: “it proved a wet, ungenial summer, and incessant rain often confined us for days to the house.” This dreary weather wasn’t a chance occurrence—it was just one small manifestation of larger environmental changes. Between April 5 and 11 of 1815, the volcano Tambora erupted in Indonesia, more than 7,500 miles away from Geneva. Tambora’s eruption is one of the largest in recorded human history, 100 times more powerful than Mount St. Helens’ 1980 explosion. The eruption pumped a massive quantity of sulfur into the atmosphere, radically cooling the Northern Hemisphere by 0.7 degrees Fahrenheit to 1.26 degrees Fahrenheit. * In essence, people living between 1815 and 1816 experienced an extreme, miniature global climate change event. Liberals have proved time and again, that they can make literally anything about climate change but this suggestion is a first. Next, they’ll tell us Dracula is really about income inequality.